Tess in Tapertown – approach with caution! Well hello there. It’s been a while, hasn’t it? I haven’t written in a while, I’ve been trying to do that thing called go to bed at a sensible hour. 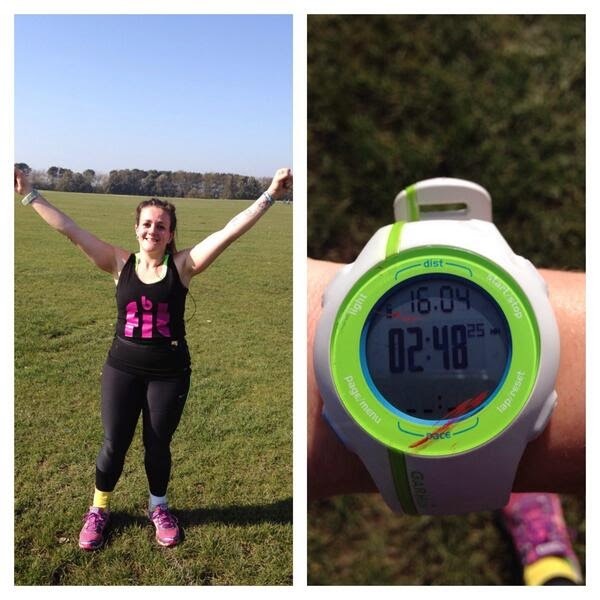 I’ve been mega busy recently with work, marathon training and wedding planning, (I am doing it, I promise!! ), and all that along with the shoddiest internet connection we’ve ever had has made it pretty easy to neglect the blog and get to bed between 10-10.30pm most nights this month. Apart from tonight of course, because I’m actually writing! Shhh! Don’t tell Tess. Despite the initial protest my body put up with the early bedtimes I have to say I do feel much more energised and refreshed now that I’m getting a solid seven or eight hours a night minimum as opposed to my usual six. With the weekly mileage ramping up and everything else in my life so busy something had to give before I knackered myself out and I’m glad it was the temperamental internet connection that forced me to bed rather than a broken body. That’s not saying my body isn’t knackered though – I’m in week 15 of training for Brighton now which basically means HELLO TAPERTOWN, and I’ve gone and given myself an angry hip flexor haven’t I! After 15 weeks of working really hard to strengthen my knees, change running gait, listening to my body and putting all my energy into managing one issue I go and give myself another niggle! Apparently it’s muscular though and not a joint issue so will settle with rest so I’m on strict orders not to run until marathon day to let it settle properly. I noticed it achey during last weekend’s 10miler, but it was nothing I couldn’t run through, so I carried on. It was only when I stopped that I realised I’d done it in – I couldn’t lift my leg without it hurting and stairs were even more of a nightmare than normal. Maranoia set in and after a few panicked tweets and a phone call to Tom (aka RunningPhysio) I was glad to see it settle after a couple of days so tried an easy pace runcommute this morning. But just over three miles in and I had to stop as it flared up again. A painful (but great) sports massage and physio session with Tom tonight has reassured me that all I need is rest to be ready for the big day, so with 11 days until the marathon I’m hereby pledging not to run again until next Sunday, and will do bugger all exercise-wise until at least Monday when I might do some hot yoga and mayyyybe cycle to work if completely comfortable. Gutted I’ll miss the last RunBrighton group run but I’ve got too much to lose now at this stage and won’t gain anything from running on a niggle, but only make it worse. I can’t believe I’ve got this far and the marathon actually happening, I’m so excited!! I’ve also hit my initial fundraising target for Mind and Cancer Research so massive thank you to everyone who’s donated. If you’d like to throw a few pennies my way you can do so here. Thursday: Threshold runcommute with messed up lap splits. 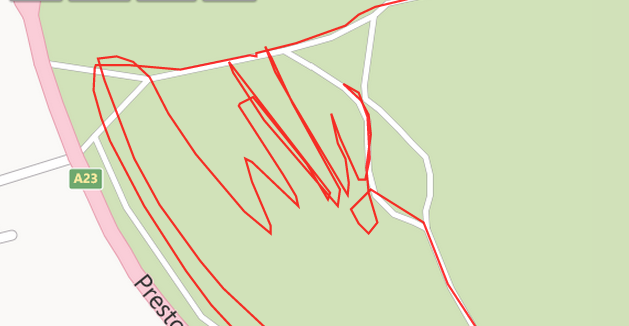 Pressed wrong button on the Garmin. 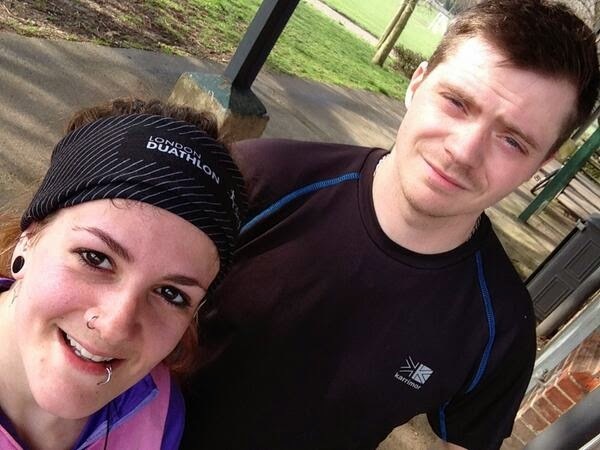 Sunday: RunBrighton long run – 16miles!!! Last two were pretty hellish as hamstrings seized up even though I tried lucozade instead of just water and gels. Decided to try electrolyte tabs the following Sunday. Saturday: Amazing lie in and best breakfast ever. Sunday: 19MILES!!!!!!!!! Fuelled by PB on toast + banana, 4 gels, 2 SiS electrolyte tabs = NO HAMSTRING CRAMPING!!! 😀 😀 😀 This was a glorious, comfortable long run in the sunshine with no knee pain or otherwise, I even felt like I had more in the tank at the end but didn’t wanna run more than 3.5hours in training so stopped at 19. 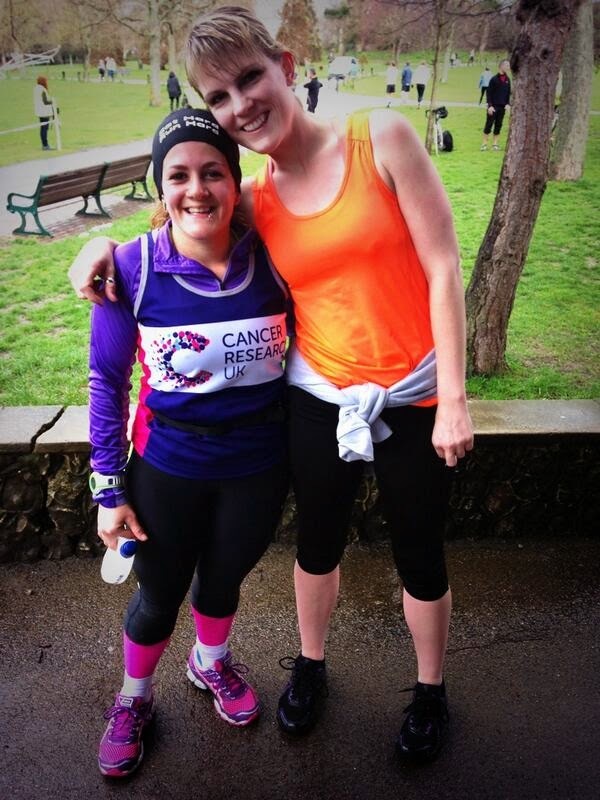 I knew after this that I could do the marathon and it was just the most amazing feeling. Monday: Rest hard after yesterday’s epic long run. So there you have it. This week so far I’ve only managed to cycle in to work and a niggly runcommute cut short from hip niggles so a somewhat forced but welcome rest. 11 days to go and I’m hoping the rest will do me good and get me ready for the big 26.2. Whatever happens, however it goes, it’s gonna be EPIC I know that much – the all-important climax to the most difficult but rewarding journey of my life so far! I don’t even care if that sounds melodramatic, I’m gonna milk this for all it’s worth! 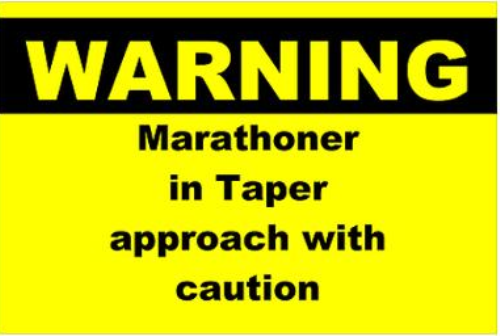 Are you suffering from maranoia, taper madness or niggles that are suddenly showing up now? How are you staying positive? Edit: I did it!!! Read my gushing race report here. 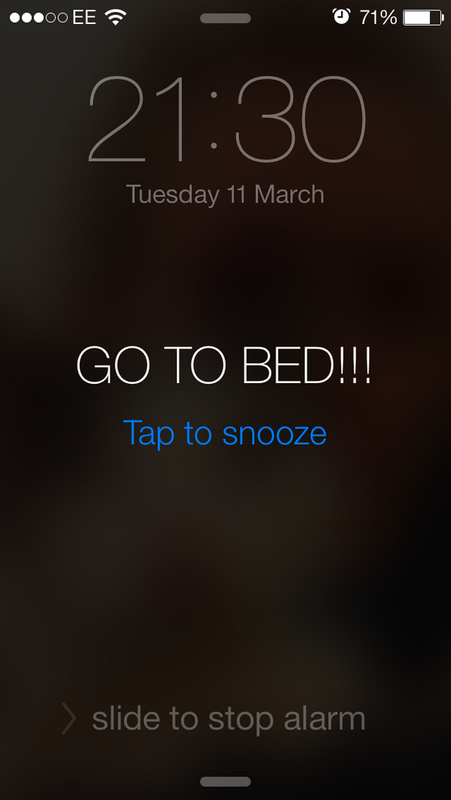 Previous Post 22 days until 26.2 – I’ve got this! Next Post You are ready.